We are in the process of finding Samuel a high chair. unfortunately all the ones you can get on the high street offer him no support, so his occupational therapist referred him to be assessed for a special high chair that can meet his needs. 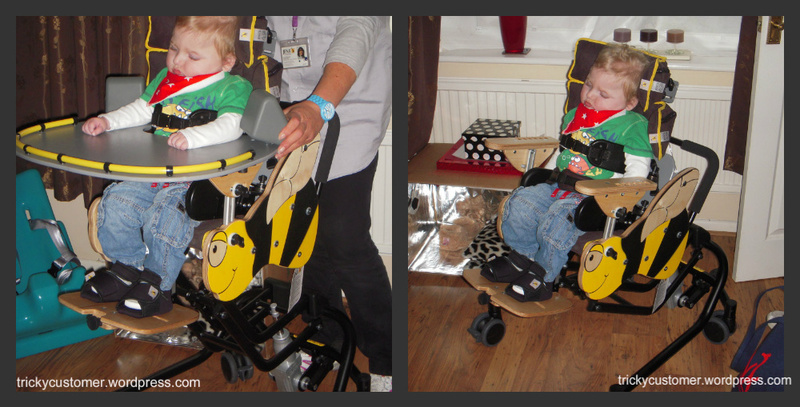 We’ve looked at three high chairs and all have wheels so Samuel can be easily moved from room to room and they are hydraulic, so we can move him up or down to different heights and sit him up forward or put him in a reclined position. We haven’t made a decision yet as to which one we will go for, but it is likely to be between the Squiggle and the Bee. 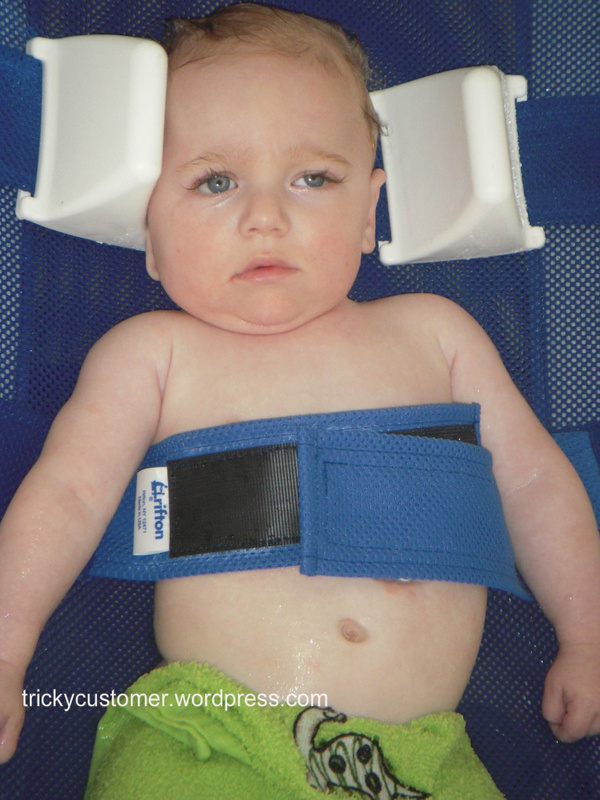 The deciding factor (apart from cost of course) will be what we decide would be more appropriate for his neck/head support. The green face cloth is in place to protect Samuel's modesty! I was asked recently how we bath Samuel, as he’s getting quite big now but cannot sit up or support his neck and head. 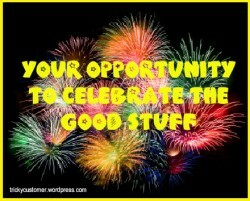 Via our marvellous occupational therapist from the hospital, last year we were given a special bath chair. 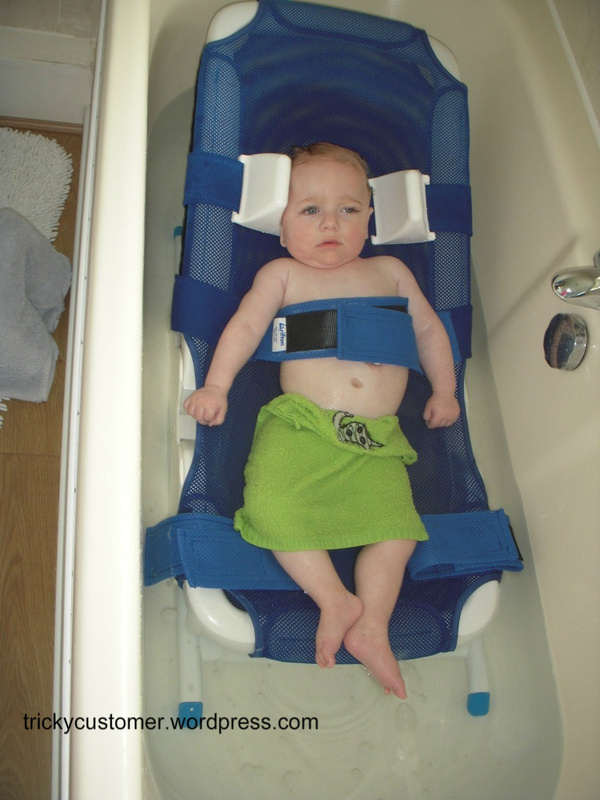 The bath chair has soft velcro straps to keep Samuel safely strapped in (straps go around his waist and legs) and means that we can be ‘hands-free’ to wash and play with him. We have to have the bath quite deep to cover him (we’d just finished bath time in this photo and are running the water out) and we can’t fit very many toys in the bath with him, but it has meant that we no longer have to hunch over the bath supporting Samuel while someone washes him. Now, bath time is much kinder to the back and can be a one-parent task. We can adjust the bath seat as Samuel gets bigger and change the angle so he can be sitting up more or lay back. Samuel seems to like bath time, so much so, he often sleeps through! Before we got bath seat. I’ve been quite surprised by how helpful and supportive I’ve found twitter and reading other people’s blogs. We’ve been plodding along in our little bubble just the three of us, only occassionally letting people in. We do have very supportive and kind friends and family, but we are so aware that they don’t really get it, as much as they really do try, they really don’t get what it is like to be in our world. But I don’t think badly of them. Before I had Samuel I had no experience of this special world, or indeed if I had been a mother to what the world calls a ‘normal’ child then I wouldn’t truly understand what people in our shoes are going through, what they are experiencing, I mean how can you? 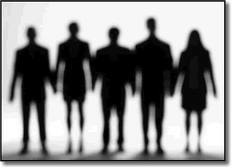 But I have made friends who are in our world. They really do understand what it is like in our funny little world and our thoughts and fears. I probably shouldn’t single people out, but I really want you to know about them and to read their blogs and to find out about their story. The first is the family of Liam the Lion. A couragous boy who has proven to be a brave little soldier in his three years. I can’t remember how I came across his dad’s blog Pressure Support, but I am so glad I did. Liam’s parents have really inspired me, have shown me that the world is still bright, the sun still shines and there is so much to enjoy regardless of what my boy can do. Regardless of his condition. I read Liam’s dad’s blog posts and I can feel so much love, so much love and pride for his boy. Liam’s dad also writes beautifully. Liam also wears really cool t-shirts. My other new friend is H’s mum Little Mama said. She is me. She is still finding her way, trying to figure out what on earth this funny world is about. She worries about the same things as me. She’s suddenly found herself doing this job she never expected to be doing. But boy, she’s superb. What she does for both her boys, all her love, all the bloody hard work she puts in, I so admire her. I hope that I can help people through twitter and through this blog to realise that actually our funny little world is much bigger than many people realise. And there is no reason to ever feel alone.